In the vast and ever-changing world of fashion, there are only a handful of things that remain consistent and timeless. 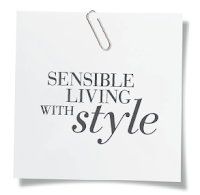 And when it comes to enduring beauty and classic French flair, Inès de La Fressange sits on top. She is the brand ambassador of long-standing luxury footwear label Roger Vivier and I am in awe of her effortless Parisian style. I know I'm not the only one having a little style crush with this madame because the brand she represents consistently draws enormous numbers of devoted and eager shoppers to their annual sample sale. Today was yet another example of how much New Yorkers adore this French label as opening day kicked off with 150+ die-hard fans braving the bitter cold to get their hands on those classic buckled shoes. I don't know if Vivier is starting to loose its groove as far as sale offerings are concerned but their sample sales just aren't the same anymore. 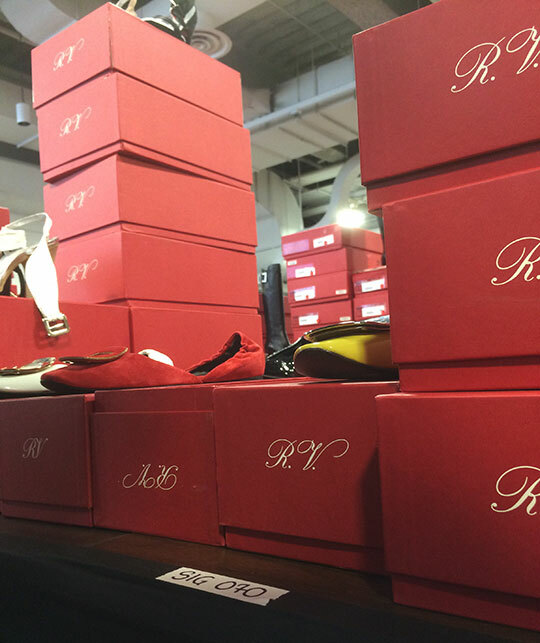 Back in 2011, when the brand hosted its first-ever sample sale, I found lots of well-priced merchandise and plentiful sizes to go around. Fast forward to the present, I'm sad to report that although the diversity in designs and styles are still bountiful, sizes are seriously lacking (just like last year). That means if you're size 37 and below, you might as well skip the sale as almost all the inventory available were in sizes 38 and up. There were many classic buckle styles like Gommette flats, Belle Viviers, Chips ballerinas, and Belle de Nuits but, again, none of these styles carried 37 or below. But for those lucky enough to wear bigger sizes, buckle flats were $330 & $360 while non-buckle styles like basic pumps were around the $225 mark. 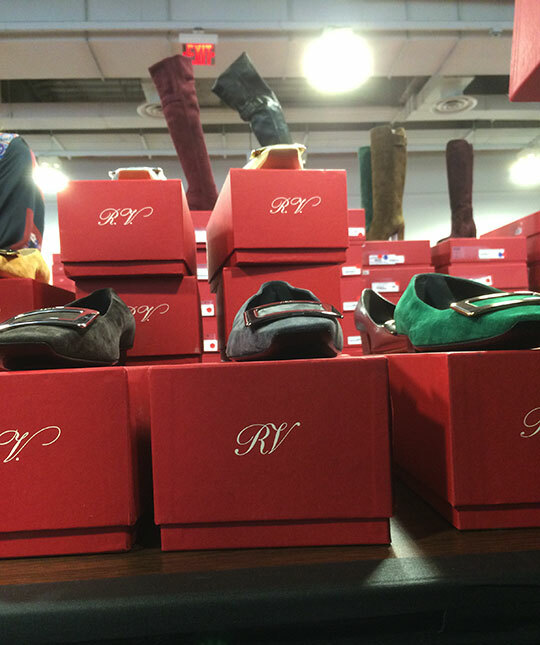 As for other merchandise, I found boots, booties, sandals, embellishments, exotics, and platforms. If you're into Vivier handbags, you might find the sale a lot more interesting. 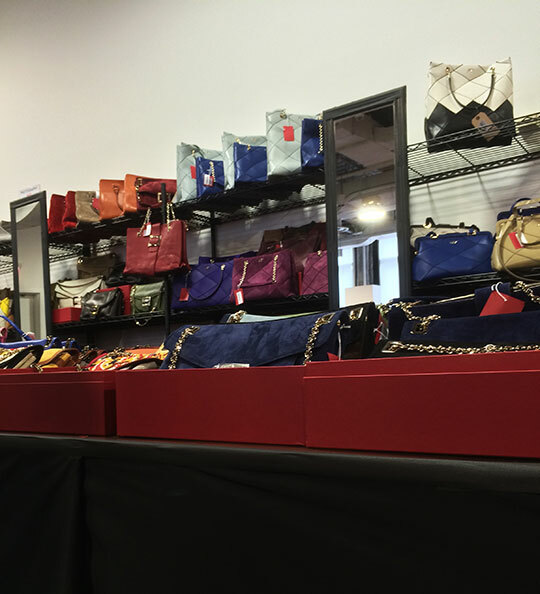 The inventory included mini crossbody bags, evening clutches, Prismick shoulder bags, and oversized totes. 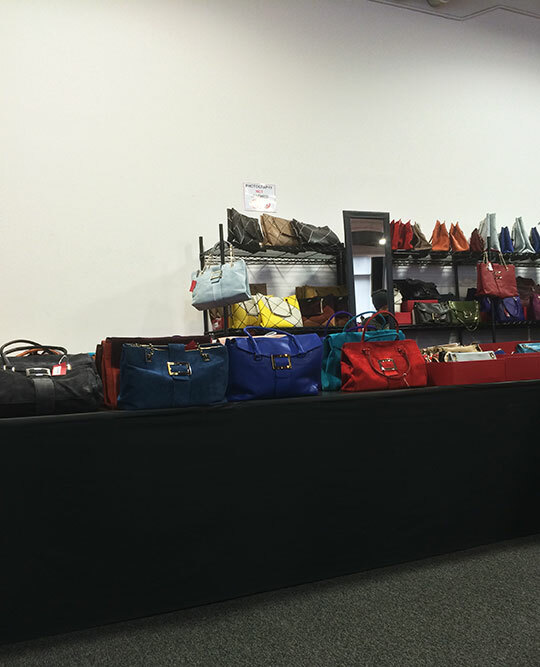 As for prices, small bags started at $300 while oversized totes and exotics were well over $1,500. To be perfectly honest, I'm starting to feel like the Roger Vivier sales aren't worth the hype anymore (been there, done that). Having smaller size feet, today's sale was once again a strike out for me. Oh well, c'est la vie. I guess I'll take my chances at next week's Charlotte Olympia sample sale. Please excuse the lack of quality and quantity of the photographs in this article. They are not up to the usual standards I set for myself and so I apologize. Nonetheless, I hope you enjoy the read. Don't apologize, Miz! You're amazing for even getting these photos. I have no real interest in Roger Vivier... or really any shoe sample sales (it's too much pressure!) but I always love reading your reports. I hope you spent the rest of the day bundled up inside. I was out mid-to-late afternoon and it was miserable. Absolutely no need for apologies, Miz. Thanks for braving the weather and standing in line for us. As always, your reports are honest and on point. Looking forward to Charlotte Olympia. Thank you for your understanding and I appreciate your support as always! Definitely will try to deliver at Olympia. I hope the both of you have a terrific weekend!! Thank you Miz. I enjoy reading your sale report and completely agree with you conclusion of this sale. Great coverage as usual and great photos as well, since they've been cracking down on cell phones. It seems like as some of the sales become established, prices go up, selections dwindle and they're just not fun to attend anymore. 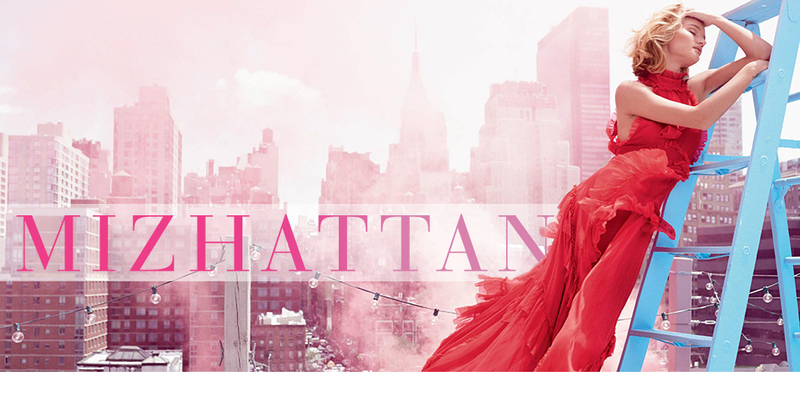 Looking forward to your coverage of Charlotte Olympia. Hi mizz can you confirm prices for the black and white Prismick oversized tote and the blue tote as well? Off the top of my head, I believe they were $775. Thanks Miz. I am heading over tomorrow morning. Hopefully there will still be something left there. I just left the sample sale. Still a lot of bags available, particularly large ones. But I do not think it is a huge discount (at least not enough for me to pull the trigger). Only a few pairs of small sizes left (no buckles). There were still some buckles for large sizes (39+). There will definitely be no restock (employees there confirmed) and there might be further discount. Does anyone want size 6? I have two RV shoes and one small bag from this morning for sale. I don't make money, and I will sell at original price, which are $360 and $365 plus tax for shoes. Bag is $550 plus tax. I have receipt for proof. We can meet if you want. Great coverage but i got so excited thinking there was an Inès de La Fressange sample sale. I remember when her clothes first came to Saks ! They re so hard to come by now. J'adore! Hey Miz! Thanks always for the extensive review! Were there any flat buckle sandals by chance? If so, do you know what the price was? Thanks! I believe I saw one pair of sandals with buckle and I think they were in size 40. I wanna go trm do they take cCard? And do they have 36.5? It's a credit card only sale. They don't have many 36.5. SALE UPDATE (3/22): Prices on select handbags now reduced. Does anybody know which handbags were discounted and by how much? Hi MIz would you be able to confirm the additional discount? thank you in Advance! i have to object to your saying "Vivier has lost its groove." 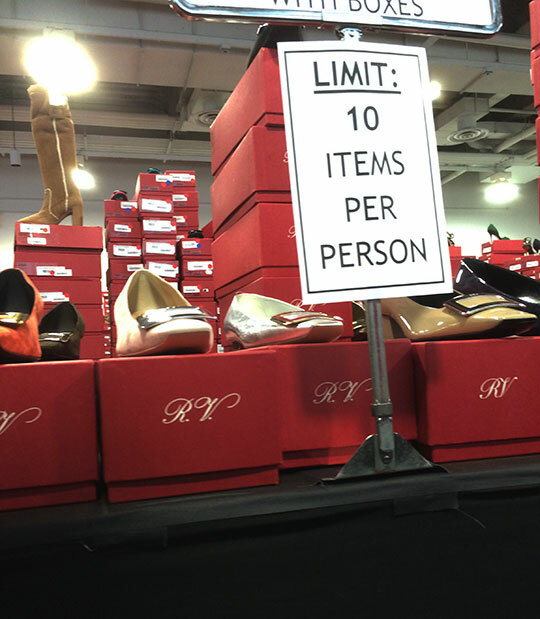 while i too enjoy buying my luxuries at the lowest price possible, its funny that anyone would honestly expect to find a full size run of of shoes, especially in popular sizes, at a sample sale. if anything it shows just how hot the Vivier brand still is as most of the shoes have sold at full price or on sale at the boutiques so there is not much left for a sample sale. 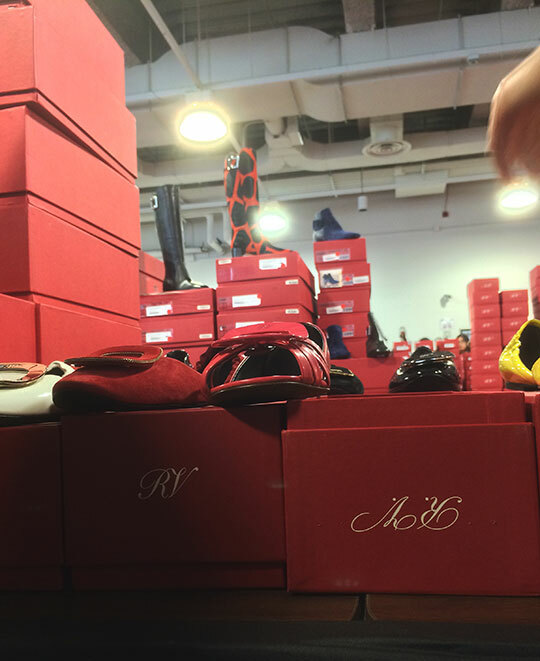 like Hermes, the Vivier sample sale is the dreg of the dregs. its the leftover styles that they couldn't sell when it was on sale at the boutiques. so one really should approach these sales with low expectations, so that any 'find' is truly a surprise and hopefully a more memorable experience. I appreciate your opinion very much. My view of this sale losing its groove comes from the fact that the selection has obviously gone down over the years. In the past, there were plenty of smaller sizes. In addition, there were lots of signature buckled shoes. However, this is not the case anymore. I stated my view as a comparative when looking at this sale over its several iterations. As for popularity, brands like Manolo and Jimmy Choo are at the top end of the scale yet, year after year, they still have many small sizes and signature designs at their samples sales. Sooo... I'm suffering from a bit of buyer's remorse after buying a pair of shoes at the Roger Vivier sale. They're gorgeous, but I got carried away and went over my budget. I'm selling them to whomever may have missed out at the sale. These shoes are the red patent Spuntata Gigi with curved gold heel and concave gold buckle on the vamp. Beautiful! Size 40.5. Email me at dee_too@hotmail.com. Thanks!